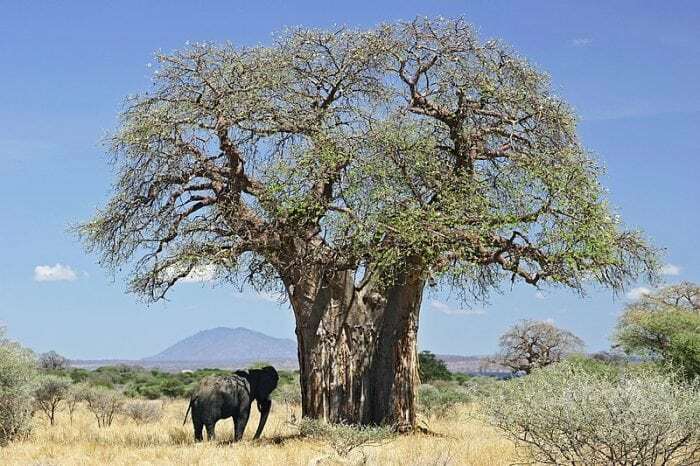 Africa is home to the famous trees known as Baobab trees, large trees which can grow over a hundred feet in diameter and are known for their massive trunks that splinter off into a patchwork of small, spindly branches. A recent survey on the baobab trees implies that climate change could be killing them off. Baobab trees grow mainly in arid regions, like Australia, Madagascar, and Africa. There are nine recognized species of baobab trees, including the Adansonia kilima (or the mantane African Baobab) and the Adansonia digitata, known as the monkey-bread-tree and typically referred to as the African Baobab. The two species of baobab can be found all throughout Africa, including in South Africa where one particular baobab was well known. The famous baobab was called the Sunland or the Platland tree, and was the largest baobab on the continent, over 110 ft around and over 60 feet high. The tree was over 1000 years old, and people came from around the world to see it. In the Spring of 2016, the tree had begun to split apart and it collapsed completely by November of last year. The fall of the Sunland baobab tree is only symptomatic of a larger trend of baobab tree die-off, according to a new study published in the journal Nature. According to the study, which tracked populations of baobab trees throughout southern Africa, most of the (approximately two dozen) biggest and oldest trees have significantly degraded or died over the last decade. The researchers responsible for the study suspect climate change to have a substantial role in the die-off of baobab trees. Such a disastrous decline is very unexpected… It’s a strange feeling, because these are trees which may live for 2,000 years or more, and we see that they’re dying one after another during our lifetime. 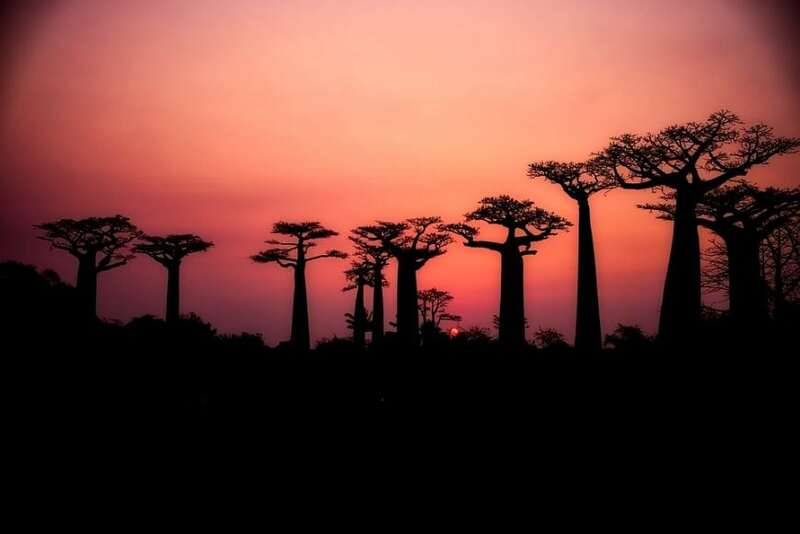 According to Patrut, the decline of the trees was first noticed during a different study with the goal of radiocarbon dating the major baobabs to discover their ages. The survey covered more than 60 off the most significant trees, selected for their notable age or size. The sample population included a few trees that were likely more than 2,000 years old. Patrut says that one of the oldest trees was around 2,500 years old. Baobabs, unlike other kinds of trees, are quite difficult to date because their odd growth patterns make the traditional tree-ring analysis difficult. Because dating baobabs is so difficult, some experts have challenged the validity of Patrut’s dating method, which may have underestimated the age of the tree by up to 1000 years. Despite the possible discrepancies in the dating of the baobab trees, other experts, such as David Baum, an ecologist from the University of Wisconsin-Madison, agree that climate change is a likely contributor to the death of many baobab trees. Furthermore, human actions are likely driving the change in southern Africa’s climate. Patrut explains that the increased temperatures and drought brought on by climate change are likely impacting the health of the baobab populations. Conservationists and researchers who specialize in the study of baobabs are worried about their health. The southern portion of Africa, where countries like Zimbabwe and Botswana are found, are warming faster than the rest of the globe. Some scientists predict that over the next few decades southern Africa will have some of the most substantial increases in temperature and drought out of the entire continent. Though at first glance, baobabs seem resistant to drought, in reality baobabs, especially the older trees, can be rather vulnerable to long periods of drought. The death of baobab trees could have far-reaching implications for ecosystems in Africa. The trees frequently support a wide variety of birds, insects, reptiles and mammals. The disappearance of the trees could also make food stability more difficult, especially in rural areas, according to research conducted by the Kenya-based World Agroforestry Center. The fruit of the baobab tree is extremely nutritious, containing more than 10 times the vitamin C found in an orange, which could help combat cases of malnutrition in rural, developing areas. There’s also a growing market around the world for products made from the seeds or leaves of the baobab tree, including various cosmetics. It’s very difficult to say whether or not baobabs have experienced die-offs like this in the past. Because of the hollow nature of many baobab trees, they decay very quickly and frequently leave few traces behind. Nonetheless, the die-off of around 70% of baobab trees between 1500 to 2000 years old over the span of around 12 years is highly unusual, and its difficult to determine a culprit other than climate change. 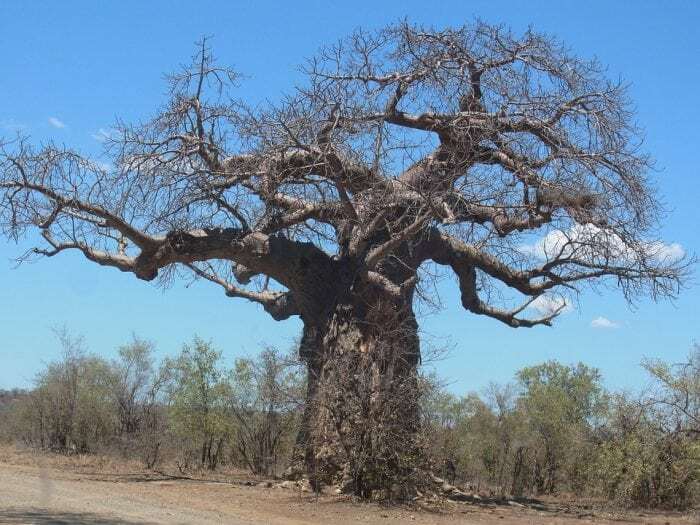 None of the baobab trees studied by Patrut and others have displayed signs of infection from disease, and the pattern of their deaths also doesn’t match with the spread of an infection. 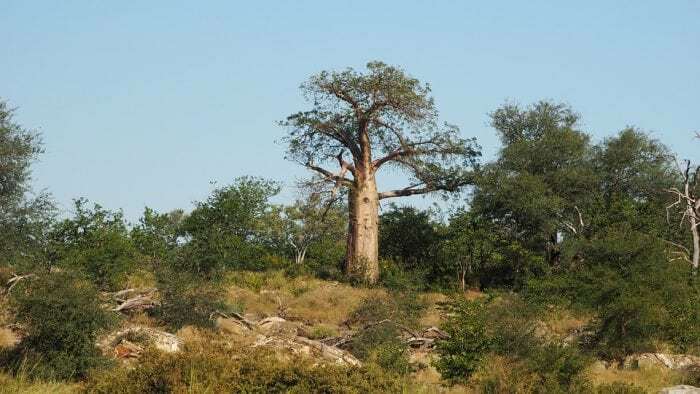 Furthermore, a large amount of the baobabs studied were located in national parks which effectively rules out the role of agricultural practices. As a result of the changing climate, the rains that used to comprise Africa’s rainy season have become much more unpredictable. Long periods of drought are often followed by periods of intense flooding. The baobab trees must be able to absorb between 70% to 80% of their volume in water, or else they will die. If they don’t have enough water by the time they produce their flowers or flush their leaves they end up dying, which is what happened to the famous Chapman tree in Botswana after the rainy season was delayed by about five months. Unfortunately, this isn’t the only example of climate change causing mass die-offs of trees. Climate change has also likely lead to the deaths of tropical trees found in the cloud forests of Costa Rica. The rising temperatures in these forests is likely killing many of the species of trees that make up one of the most diverse ecosystems on the planet. The same is also true of some of the deciduous trees found in regions of Montana, Idaho, and Wyoming, explains Erika Wise of the Department of Geography from the University of North Carolina, Chapel Hill. An increased understanding of the baobab trees and their age could help conservationists know which trees are the most at risk of dying, which may enable them to protect and support the most vulnerable baobabs.